First Selectman Mike Tetreau and Police Chief Chris Lyddy are pleased to announce that the Town of Fairfield has been named a top safe community in Connecticut. SafeWise, an online safety resource that helps families and communities make informed decisions, recently issued its annual 20 Safest Communities in Connecticut Report for 2019 with Fairfield placing seventh. According to Safewise, the most up-to-date (2017) FBI crime report statistics and population data is used for this report. Safewise's methodolgy is based on the number of reported violent crimes in each community. If there was a tie, Safewise also factored in the number of property crimes (burglary, arson, larceny-theft, and motor vehicle theft). To level the playing field, Safewise calculated the rate of crimes per 1,000 people in each community to make it easier to directly compare the likelihood of these crimes occurring in communities with vastly different populations. Being robbed is the top violent crime worry, and safest city reporting supports that—only three cities had zero incidents, and the reports ranged from one to 25, with a total of 146 being reported among all cities, which makes it the second-most common violent crime after aggravated assault (166). In addition to ranking the State’s safest towns, SafeWise also conducted a nationwide “State of Safety” survey to find out what people are actually worried about when it comes to safety. Key findings among Connecticut’s residents include: 16% of CT’s State of Safety respondents had a personal experience with digital security in the past year which is eight percentage points below the national average of 24% and having someone access sensitive information is the primary digital security fear, with 73% naming it their top concern. Those correlations and other useful findings were added to SafeWise’s report. Stamford-based Q88 LLC is moving to Fairfield. The software provider is moving its Connecticut headquarters from Stamford to 1501 Kings Highway East. Q88 signed a long-term, multiyear lease for a 7,800-square-foot building near the Fairfield Metro Station, doubling its space in the process. “The reason we are moving is to meet our future goals of expansion,” said a Q88 spokesperson. The company declined to comment any further on the transaction Q88 has been around since 2001, offering software solutions to clients in the global shipping industry. The company also has offices in London, Athens and Singapore, and caters to a client base of more than 11,000 users and 10,000 vessels. According to a news release from Westport-based brokerage HK Group, the company chose the building due to its immediate proximity to public transit and its look. “The building is fully reconstructed with the modern industrial look that many companies — modern and young companies — are looking for,” said Franco Fellah, executive vice president at HK Group, which represented landlord Powerscourt Westover LLC during the transaction. Q88 will occupy the entire building. Powerscourt bought the building in 2017 for $765,000 and renovated it. At the time, it was a 3,800-square-foot blighted building near the train station. Tom McLaughlin, owner of Powerscourt, transformed the vacant brick structure into a two-story modern, glass office building, about double the size of the original building. The commercial real estate company owns the building at 1525 Kings Highway East and had been leasing the site next door since 2011 to use its 28-space parking lot. Q88 is projected to move sometime during this summer; town officials said they are looking forward to the addition to the commercial base. Q88’s new headquarters is located in an area that has seen ongoing activity and interest from developers over the past couple years with the introduction of the Fairfield Trademark Apartments and more. The second phase of the Fairfield Trademark construction has already begun even closer to the train station and is expected to bring a trove of apartments to the town. First Selectman Mike Tetreau and the Sustainable Fairfield Task Force (SFTF) are pleased to announce that the Town of Fairfield held a special ceremony to celebrate its recent recognition as a top-ranked “Sustainable CT” municipality and to also highlight the many successful sustainable initiatives that have been put in place to build upon the health and resilience of the Fairfield community and natural environment. The ceremony, led by First Selectman Tetreau and SFTF members Mary Hogue and Bob Wall, honored the numerous town officials, town departments and volunteer bodies who collaborated on Fairfield’s winning application last October for a “Silver certification” under the “Sustainable CT” initiative which awards certifications to Connecticut communities that voluntarily meet high standards in a broad range of sustainability accomplishments. Over 40 people attended the ceremony that was held on January 18th at the Fairfield Museum and History Center. Fairfield was one of just five communities statewide to receive the Silver certification, the highest designation that can be achieved based on points awarded for specific sustainability actions. Other speakers at the event were Mark Barnhart, Director of Community and Economic Development who spoke about local economic impacts; Julie DeMarco, Director of Human Services who discussed initiatives helping senior and disabled residents; Kyran Dunn, Deputy Fire Chief who focused on climate vulnerability; and Bill Pollack, Fairfield Bicycle & Pedestrian Committee member who highlighted transportation diversity. Fairfield’s application for Sustainable CT certification was compiled by SFTF members Mary Hogue and Bob Wall. Technical support for the application was provided by United Illuminating and University of Connecticut students under the direction of Dr. Amy E. Thompson. Fairfield’s successful Sustainable CT application details a broad spectrum of activities now underway, Town-wide, to enhance community quality and viability in areas ranging from clean energy and transportation to diverse housing, health of the local economy and vibrant arts and culture. Maintaining a robust communications infrastructure to keep Town residents informed and engaged regarding Town news and developments. Many of Fairfield’s ongoing and planned sustainability projects are reflected in the Town’s Master Sustainability Plan which is now under development and details specific initiatives for safeguarding Fairfield’s natural and built environments, natural resources, and quality of life. The Sustainable Fairfield Task Force (SFTF), formerly the Clean Energy Task Force, provides support for Town practices and projects that can help Fairfield manage its growth to safeguard the health of its environment, ensure the reliability and economical use of its natural resources, and preserve the quality of life of its residents – today and for the future. For more information, please contact Sustainable Fairfield Task Force member Mary Hogue at 203-256-9802. Sacred Heart University has entered the coworking movement. The Fairfield-based university has signed an agreement with Verizon and Alley, which operates coworking spaces nationwide. The new “Alley Powered by Verizon” space, on SHU’s West Campus – the former General Electric headquarters at 3135 Easton Turnpike – will be that partnership’s first Connecticut venture and its first to be on a college campus. The 11,000-square-foot space will offer various levels of memberships and services that include private office space, hot desks – where multiple workers use a single workstation during different times – meeting and conference room space, as well as recruiting, marketing and programming services. SHU will provide the fully furnished and equipped turnkey facility and a dedicated project coordinator to help identify, activate and create engagement between the innovation community and the university’s faculty, staff, administration and student body. SHU also will establish a student concierge service that members can use as a resource for making connections with various university programs, internships, recruiting, events, speaker sessions, office hours and mentoring. Members will also have fee-based access to the labs and facilities that include computer, artificial intelligence, cybersecurity, engineering/design, gaming, finance and motion-capture labs, as well as a makerspace and production studios. Alley, which is headquartered in New York City, will oversee marketing and advertising to develop a community of members, manage member experience and help coordinate events and programs. “This is something we have been talking about with our advisory board for about a year,” SHU provost Rupendra Paliwal said. “We wanted to address the question of how we could provide more opportunities for our students to interact with entrepreneurs, which is something our students have expressed an interest in. “This is a major boost to Fairfield’s economic development efforts to bring more jobs and businesses to our town,” remarked Fairfield First Selectman Mike Tetreau, who said the initiative “certainly goes a long way to helping replace the loss of GE in our community.” That company exited Fairfield in 2016 in favor of Boston. Verizon and Alley have together built innovation hubs in New York, Cambridge, Washington, Palo Alto and Los Angeles. According to LiVigne, the coworking spaces allow Verizon to tap into local startup and innovation networks, build relationships with potential partners and open new doors for ideas and technology. “Sacred Heart has long been committed to innovation and creative thinking, making it a natural fit for attracting and building a successful startup community,” said Alley CEO Jason Saltzman. “Fairfield County has several corporations and businesses that stand to benefit from the work that will be done here, not to mention its ideal location between New York City and Boston. “We’re helping to create a startup mindset and environment that will provide members much-needed access to corporate resources typically unavailable to small businesses, from key relationship introductions to cutting-edge technology,” Saltzman said. Paliwal said the university’s West Campus, which includes its new School of Computing – focused on computer engineering, computer gaming and cybersecurity, as well as developing programs in STEM fields like health and life sciences, science and technology – made it a natural choice for the new facility. Fairfield building at 45 Sherman Street sold to the Doyle Insurance group for over $1 million. Fairfield-based Doyle Insurance has gone from tenants to property owners. 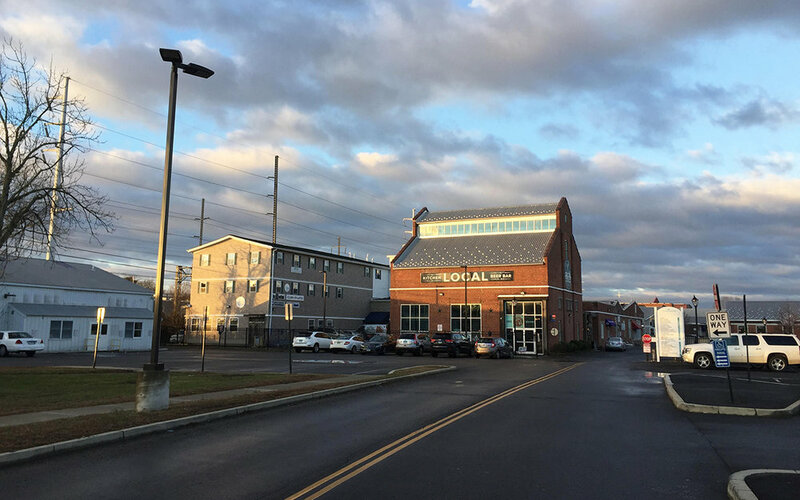 The insurance group purchased a two-story office building at 45 Sherman St. for $1,375,000, according to a press release from Fairfield-based real estate firm, Angel Commercial LLC, which represented the buyers. The Doyle Insurance Group provides personalized insurance services for its clients, offering an array of property and liability insurance solutions. The company will move from its 10 Sasco Hill Road location less than a mile away to the new office just off the Post Road. The office is also within walking distance of the Fairfield train station. “Changing from a tenant to a property owner demonstrates the firm's commitment to being part of Fairfield’s vibrant business community,” said John Angel, president of Angel Commercial, in a press release. The space offers more than 4,500 square feet along with a 1,217-square-foot cottage that also has an office room and residential features. Both the main building and the carriage building have been renovated in the past two years. The insurance company is expected to occupy the front building following further modifications to the site, while it’s uncertain what they will use the carriage building for. “It’s a spectacular area,” said Bruce Wettenstein of Westport-based Vidal/Wettenstein which was the listing broker for the sellers, Valor Investments LLC. The previous owner operated a financial services business, according to Wettenstein. “If you want to be in Fairfield and you want to be within walking distance to all the retail spots and Metro-North, it’s the right location,” he added. The authors of Connecticut’s Top Ten Business-Friendly Towns collected and measured data from Connecticut’s 50 largest municipalities based on community allure, economic vitality, tax burden and transportation infrastructure and found that while the state may be in dire economic straits, some towns are still able to foster a competitive business environment. 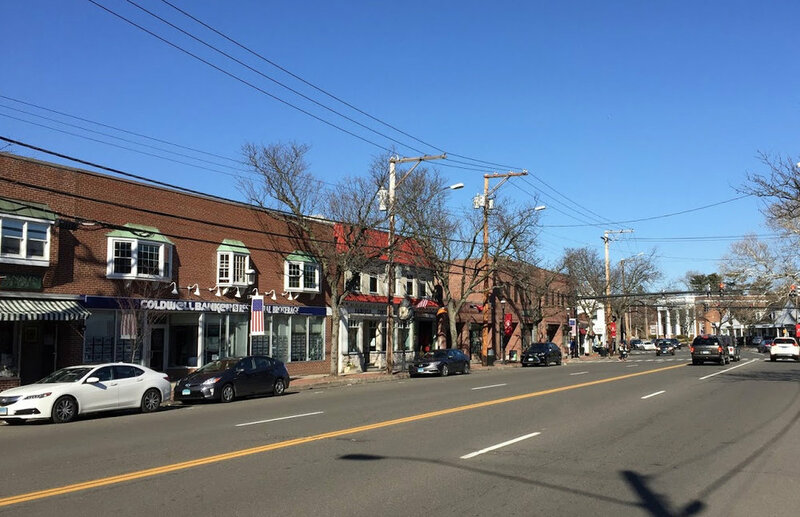 The Town of Fairfield took top honors as the most business-friendly town or city in the state, followed by Greenwich, Westport, Ridgefield and Simsbury. Although the top four business-friendly towns were located in Fairfield County, towns like Shelton, South Windsor and Glastonbury also made the top ten list. “I think this shows there are bright spots in Connecticut, that our state still has the ability – particularly at the municipal level – to really be economically vibrant, competitive, and friendly to businesses,” said Yankee Institute Manager of External Affairs and co-author of the study Isabel Blank. The data in Warning Signs was collected and analyzed by Marc Joffe of the Reason Foundation. A municipality which scored below 70 was deemed to be “marginal,” while a score below 50 is considered in severe financial distress. The average fiscal score for a town ranked in the top ten for business friendliness was 71, compared to the average score of 56 for a bottom ten municipality. Fairfield County gained more than 2,500 residents in net migration from New York City from 2011 to 2015, including 1,038 from Bronx County. Connecticut may be losing population, but Fairfield County is gaining residents and much of that is coming from nearby New York City. A recent study by Fitch Ratings of U.S. Census Bureau data shows that Fairfield County gained more than 2,500 residents in net migration from New York City from 2011 to 2015, including 1,038 from Bronx County. Fairfield County had positive net migration from each of the five New York City counties during that time span. Overall, Connecticut gains a significant number of residents moving in from New York state each year, peaking with a 12,136 net migration in 2015. The study also showed that Connecticut has lost population every year from 2013 and 2016. Fairfield County, however, has gained population each year, and had 949,921 residents in 2017, up from 942,865 in 2013. Hartford County, by comparison, saw its population fall from 899,765 in 2013 to 895,388 in 2017. Joseph Fontana, an associate director in Fitch Ratings’ corporates group, was the lead analyst for the study. He said Fairfield County’s strengths, such as high personal income, wage growth and disposable income, should continue to make it a desirable destination for New Yorkers looking to relocate. “There are strong underlying economic trends that will support growth in Fairfield County going forward,” he said. Fairfield County’s low property taxes, relative to New York City and adjacent Westchester County, is another draw. “That’s a factor,” Fontana said. “People want to be in an area where they can avoid taxes as much as they can, especially with the new tax laws and their limited ability to deduct state and local taxes from federal taxes. The southwestern part of the state has outpaced the rest of the state in other economic measures as well. The Danbury labor market area has the state’s lowest unemployment rate at 3.7 percent. The Bridgeport-Stamford labor market area has an unemployment rate of 4.4 percent, which absorbs towns with high rates, such as Bridgeport (6.4), Ansonia (6.2), Stratford (5.6) and Derby (5.5). A growing number of millennials are fleeing the big cities in search of the traditional American dream of homeownership in the suburbs, the Fitch research shows. Older millennials who had previously shunned the suburbs in favor of the work-live-play aspect of the cities, are now seeking homes in the suburbs. Fairfield County also offers good schools, upscale shopping and a lower cost of living, compared to New York City, he said. Jim Fagan, Cushman & Wakefield’s managing principal for the Connecticut and Westchester markets, has seen a similar trend. He said there is a large demographic of people between the life stages of graduating from college and starting a family. That population flocked to city apartments during that stage. “That process is starting to mature. They moved into apartments 10 years ago and the birthrate was low for years, but now they are starting families,” Fagan said. “These families can’t afford to live in the city. If you’re in Manhattan and you have a few kids, you’re dead broke. Fagan said as the millennials move to Fairfield County the commercial real estate market will continue to improve. Fitch numbers show that Fairfield County has a vacancy rate of 23.6 percent, up dramatically from the 13.9 percent vacancy rate in 2007. It has climbed steadily over the years as the country recovers from the 2008 recession, corporations rethink their space requirements and technology reduces the need for many employees to have an office. Fagan sees companies following their talented millennial workers out to the suburbs and taking space in office buildings throughout Fairfield County, particularly along major transportation lines. Fontana said Fairfield County often represents a “flight to affordability” for companies looking to escape the high rents of New York City. Conversely, he said, many companies looked to New York City following 2008 as a place they believed to be a recession-proof area. While slightly elevated from pre-recession years, New York City continues to enjoy a low vacancy rate of 8.3 percent. The city’s vacancy rate hit a post-recession high of 11.6 percent in 2009. The rate was 5.7 percent in 2007, according to numbers provided by Fitch. The recovery from the recession has been stronger and faster in Fairfield County in comparison to the rest of the state. A look at population numbers show that every county in the state has lost population since 2013, except Fairfield. In addition to Hartford, Litchfield and New London counties have lost significant population. It’s a good thing for the state that Fairfield County continues to gain population as it pays more than one-quarter of the state’s taxes, with a hefty amount of that coming from Greenwich. A strong Fairfield County economy is essential in keeping that money flowing north. Fontana said the economic indicators appear strong in Fairfield County and he sees the momentum continuing in a positive direction. Fairfield University is the top regional university in the Northeast, according to the latest national college rankings from U.S. News & World Report. The school – which ranked third last year in the region – also tied for fourth-best undergraduate teaching in the Northeast with Bentley University in Waltham, Massachusetts, and Providence College; State University of New York (SUNY) Geneseo finished first. Fairfield University also tied for fifth-most innovative school in the region with Champlain College, Vermont and Thomas Jefferson University in Philadelphia; Southern New Hampshire University was first. Furthermore, Fairfield University came in 21st in the publication’s “Best Value Schools” in the region, with Gallaudet University in Washington, D.C., topping that list. Fellow Fairfield-based school Sacred Heart University tied with five other schools for 35thbest in the Northeast; tied with the same five institutions for 17th best college for veterans; placed 64th in best value; and placed 274th for its business programs. The University of Bridgeport and Western Connecticut State in Danbury both placed in a large 142nd-187th rank in the “Best in the Northeast” rankings. Bridgeport was also included in the 190th-206th cohort of schools with doctorates in engineering. 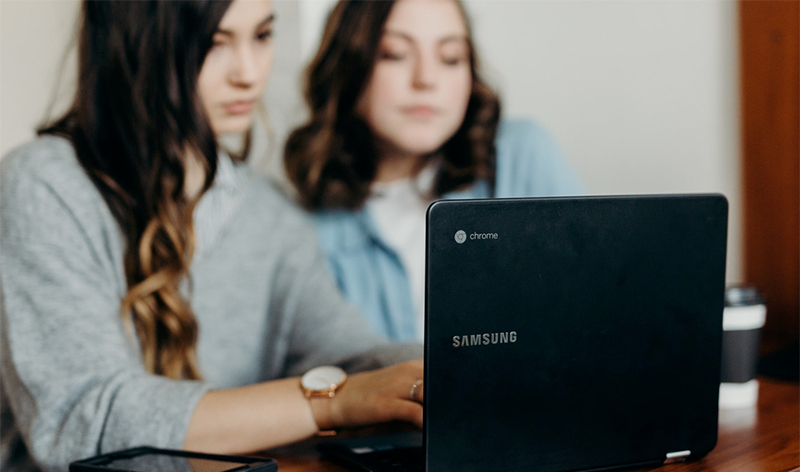 Colleges and universities included in the Regional Colleges ranking offer a broad scope of undergraduate degrees and some master’s degree programs and are divided and ranked in four geographical groups: North, South, Midwest and West. Princeton University in New Jersey was named the best national university, followed by Harvard University in Cambridge, Massachusetts. Tied for third place were Yale in New Haven; Columbia University in New York City; the Massachusetts Institute of Technology in Cambridge; and the University of Chicago. Also making that list were the University of Connecticut (63rd) and the University of Hartford (194th). Sacred Heart University (SHU) is kicking off its fall semester with a new undergraduate program that offers a bachelor’s degree in hospitality, resort and tourism management. John Chalykoff, dean of the university’s Jack Welch College of Business, said that the new program puts students in the right place at the right time. “This is an expanding industry where there will be great demand to fill jobs,” he said, noting that the hospitality and tourism industry is the second-largest employer in the U.S. after the federal government. The first class for the program consists of 20 students who have a choice of three specializations: hotel, resort and club management; tourism management; and revenue, pricing, and data analytics management. Each specialization will involve a business core curriculum with students required to complete nine courses. SHU is promoting this program by highlighting the potential career opportunities awaiting students. Citing statistics from the U.S. Bureau of Labor Statistics, SHU noted that job opportunities within hotel, resorts and lodging operations management are expected to experience an 8 percent growth through 2024, while operations research analytics are expected to see 30 percent growth during the same period. A 5 percent growth over the next six years is predicted in the food and beverage operations management side of the industry, while meeting and planning management is forecast to see 10 percent growth in this period. Courses will be conducted at SHU’s West Campus (the former General Electric headquarters), and internships will be available at the university’s 150-acre Great River Golf Course in Milford, which is home to the full-service restaurant Monty’s River Grille and the 3,000-square-foot Golf Pro Shop. The program will also have internship opportunities through SHU’s campus in Dingle, Ireland. Other classes connected to this major include Management of Human Resources, Dynamics of Information Technology and Revenue Management and Pricing. Chalykoff acknowledged that hospitality and tourism frequently suffer when the economy goes into a tailspin, and the new program will take into consideration ways to keep business vibrant in the event of another recession. “The required analytics course largely focuses on supply and demand and what actions to take in a slow or heated economy,” he said. While SHU has no plans to expand this endeavor into a graduate program, he said the school would be watching the new undergraduate program to determine if this will be the next academic step. “If there is demand, absolutely,” he said. Fairfield County’s low property taxes, relative to New York City and adjacent Westchester County, is another draw.“That’s a factor,” Fontana said. “People want to be in an area where they can avoid taxes as much as they can, especially with the new tax laws and their limited ability to deduct state and local taxes from federal taxes. First Selectman Mike Tetreau is pleased to announce that Fairfield has been ranked as one of the nation’s 50 Safest College Towns in America. Fairfield ranked #11 in 2018, up from #24 in 2017. Fairfield is only one of three Connecticut municipalities that meets the safe college towns’ criteria. West Hartford ranked #13 and Willimantic ranked #41. The safest college towns of 2018 were identified by SafeWise safety experts who analyzed the FBI’s most recent crime statistics to calculate the total number of crimes committed in America’s towns and cities with at least one accredited, academic institution of higher learning. To deem a college town “safe,” SafeWise zeroed in on violent crimes per 1,000 people for each city. From there, analysts weighed those numbers in relation to population numbers and other important factors. Finally, SafeWise identified relevant safety, security, and community outreach programs that help make each Safest College Town safe. According to its findings, SafeWise noted that “Fairfield has reason to celebrate its safe streets—this (town) jumped 13 spaces to rank number 11 this year.” Sacred Heart University, one of the town’s major universities, serves over 8,000 students with five violent offenses on campus in 2016. “The safety of the members of the Sacred Heart community and our guests is always our top priority. We are excited that our safety policies and procedures, along with our strong partnerships with the Fairfield police and fire departments, have contributed to the town’s high safety ranking,” said Jack Fernandez, Director of Public Safety at Sacred Heart University. Money Magazine’s annual ranking places Fairfield among Top 100 Private Universities in the nation and Top 10 Most Transformative Universities. Princeton Review again recognized Fairfield as a top-tier school and named Fairfield among the Top 10 schools for Best Quality of Life, Top 20 for Happiest Students, and among the Best in the Northeastern Region for Colleges That Pay You Back. FAIRFIELD, Conn., (August 15, 2018) – Fairfield University has again been named among the best schools in the country in two major annual lists from Time’s Money Magazine and The Princeton Review. Money Magazine’s annual “Best Colleges for Your Money” ranking places Fairfield among the Top 100 private universities in the country. Fairfield’s top 10 ranking for Most Transformative Colleges, which is “when a college helps students do far better than would be expected from their academic and economic backgrounds,” recognizes the institution’s commitment to holistic formation and places it as the highest ranking Jesuit university in that category. Additionally, Fairfield is again among The Princeton Review’s annual “Best 384 Colleges,” as well as in the Top 10 schools – and the only Connecticut school in the Top 10 -- where students are considered to have the “Best Quality of Life.” The University is found in the Top 20 schools -- and the top school in Connecticut in the Top 20 -- to have the “Happiest Students,” as well as among the Best Northeastern schools and the best Colleges That Pay You Back. According to Robert Franek, The Princeton Review’s Editor-in-Chief, the top 384 schools are picked primarily on “outstanding academics” and are highly recommended by the publication. The best regional schools, in which Fairfield is among the best in the Northeastern region, are also considered as those that are “academically outstanding.” Strong institutional and student survey data determined the rankings for Colleges That Pay You Back, which include academic rigor, affordability, and career outcomes for graduates. Sacred Heart University’s School of Computer Science & Engineering has created a bachelor’s degree program in cybersecurity that will debut with the fall semester. According to the school, the program’s core courses will focus on cybersecurity concepts and skills, including incident response and risk management, web development in UNIX, intrusion detection and network forensics, malware analysis and reverse engineering. The curriculum conforms to the latest recommendations from the Joint Task Force on Cybersecurity Education in its recent version of Cybersecurity Curricula 2017 – Curriculum Guidelines for Post-Secondary Degree Programs in Cybersecurity. 11th Annual MSP 501 Identifies World’s Most Forward-Thinking MSPs & Leading Trends in Managed Services. Kyber was ranked 225 out of the 501. July 2, 2018: Kyber Security ranks among the world’s 501 most strategic and innovative managed service providers (MSPs), according to Channel Futures 11th-annual MSP 501 Worldwide Company Rankings. As it has for the last three years, Channel Futures teamed with Clarity Channel Advisors to evaluate these progressive and forward-leaning companies. MSPs were ranked according to our unique methodology, which recognizes that not all revenue streams are created equal. We weighted revenue figures according to how well the applicant's business strategy anticipates trends in the fast-evolving channel ecosystem. "In 2016 CONNECT Partners Inc. made its debut on the MSP Mentor 501 list at number 341. Last year we jumped to 284 and this year it is my honor to tell you we jumped again to 225. It is all thanks to my team for their hard work and dedication. Everyone should be very proud of this accomplishment." said Lynn Souza, CEO of Kyber Security. Channel Futures is pleased to honor Kyber Security. Kyber Security is a boutique Managed Security Services Provider (MSSP) that is dedicated to protecting your business from ever increasing cyber threats. Our managed security services can be customized and coutured to fit your company’s unique cybersecurity needs, budget and compliance requirements. We can work with your already existing IT team to provide the security expertise they most likely do not have, or augment your current IT security team. Our focus on cybersecurity means that our sole priority is making sure your business is protected from, and prepared for, the next big cyber-attack. First Selectman Mike Tetreau is pleased to announce that on June 28, 2018, the Town successfully issued a bond sale of $17,025,000 at 2.94 % and a ban sale of $7,410,000 at 1.64%. First Selectman Tetreau also announced that the nation’s top rating agencies—Fitch Ratings, Moody’s Investors Service, and S&P Global Ratings—have reaffirmed the Town’s AAA rating and stable outlook status. Sacred Heart University’s game design program has been recognized as one of the top 25 on the East Coast. The ranking came from Animation Career Review, an online resource for people considering careers in animation, game design, graphic design, digital art and related fields. Students studying game design and development at SHU gain a foundation in programming languages, problem-solving techniques and computer ethics. They are taught the game-creation process, game-play theory, fundamentals in computer graphics, components of animation and how to thrive as part of a multi-disciplinary team. Since 2012, Animation Career Review has ranked schools’ game design programs based on academic reputation, admission selectivity, depth and breadth of the program, geographic location, and value as it relates to tuition and indebtedness. SHU Engineering Professor and Program Director Tolga Kaya and Kinima co-founder Renee Migdal look on as engineering students Gabe Bitencourt, Henry Sinclair and Nate Barone create workout videos as part of an internship in the maker space at West Campus. Recently, a few rising sophomores were in the makerspace (an open lab where people explore, tinker and invent) with Renee Migdal, Kinima Fit’s co-founder. Surrounded by drones, LEGO creations and equations scrawled on white boards, students ducked behind computers and consulted with each other as one of their peers tested the fitness technology with exercise movements in front of a green screen. Kinima, which means movement in Greek, is a free-form exercise platform that uses technology to bridge the gap between personal trainers and fitness classes. The artificial intelligence, which tracks exercise repetitions, effort and calories burned, has been on the market for a year and can be found in high-end gyms and facilities, according to Migdal. The fitness station, or computer, converts to a mirror, tracking the user’s movements and giving exercise cues and real-time feedback. “Students are testing and creating new features,” said Migdal, adding that SHU athletes have tested the fitness trainer and provided suggestions, which improves the technology. Migdal learned about SHU’s engineering program after visiting its booth at the Maker Faire Westport in April. As she spoke with Tolga Kaya, associate professor of computer engineering, they realized the mutual benefits of a partnership in which students would apply their skills to an actual business. Kaya said he and his students didn’t think they would come back from the Maker Faire with an industry connection; it just happened organically. On that Thursday morning, sophomore Gabe Bitencourt performed an exercise in front of the green screen and camera. Once the motion was recorded, sophomore Henry Sinclair edited the content to ensure it remains consistent throughout the training software. Fairfield, CT - As part of its ongoing efforts to attract new business investment, the Town of Fairfield has launched www.choosefairfieldct.com, a new mobile-responsive website for businesses interested in learning more about what Fairfield has to offer. Designsite is an award-winning, full service digital agency, based in Fairfield CT. For more information on their services, visit their website at www.designsite.com or contact Michael DeMartin at mdemartin@designsite.com. Bigelow Tea is proud to announce the recently attained distinction of becoming a Benefit Corporation. The family company is the #1 Specialty Tea market leader, manufacturing "Constant Comment"® and more than 150 tea varieties sold nationwide. Now officially registered as a Benefit Corporation, it is one of a select group of companies that has designated corporate social responsibility as a core business goal in the pursuit of a positive social and environmental impact. This type of business structure legally formalizes corporate social responsibility in for-profit organizations. Being a Benefit Corporation codifies a company’s commitment to all stakeholders, including employees, customers, vendors and distributors. The legally defined goal of a Benefit Corporation is to use the business for a general public benefit and to have a positive impact on the environment and society. The mission and vision of family-owned Bigelow Tea, that today employs more than 400 people, made it an ideal candidate for incorporation as a Benefit Corporation, now authorized in 33 states and the District of Columbia. "Our purpose has always been about much more than making profits and making tea, so the more I learned about Benefit Corporations, the more I knew this was something I truly felt captured the spirit of our company -- a company that is inspired by more than just making a profit," Cindi Bigelow, third generation President & CEO said. "Clearly, we need to maintain strong profitability, but we should never lose sight of the fact that we also need to focus on doing good things with the power we hold inside this company." Bigelow Tea has long prided itself on its environmental, sustainability and community programs, including charitable initiatives centered around the Bigelow Tea Community Challenge, an annual road race that has contributed $1.5 million to local non-profits over the past 30 years. "Ever since my grandmother Ruth Campbell Bigelow began our family company 75 years ago, social responsibility has been part of our DNA," Bigelow said. "We have always believed that ethical leadership isn’t about just what we do every day. It’s about taking Corporate Social Responsibility seriously. We’re committed to good citizenship, ethical business practices, protecting the environment, sustainability, and supporting our communities." To qualify as a Benefit Corporation, Bigelow Tea leadership completed an extensive assessment report that required hundreds of hours of research and documentation, showing how the company met the established objectives in five specific areas: governance, employees, environment, community and customers. "What was so exciting to uncover was that, by doing the very things that had been written into our mission statement over 30 years ago, we were already meeting the requirements," Bigelow said. "In fact, our score exceeded the benchmarks." The Board of Directors amended Bigelow Tea’s Articles of Incorporation to include a statement reflecting the unanimous desire to become a Benefit Corporation and ensure that in addition to profit-making, Bigelow Tea leadership will pursue goals that benefit the community in tangible ways. "To me, ethical leadership has always been about more than what we do every day, it also means thinking about the long term and ensuring we are doing the right thing for our future," Bigelow said. "It means constantly working on creating an environment where we all feel motivated to be the best we can possibly be. Becoming a Benefit Corporation redoubles our long-standing efforts and helps everyone understand that we need to take corporate responsibility extremely seriously." Based in Fairfield, CT and 100% family owned, the Bigelow Tea Company pioneered the specialty tea category 75 years ago. The three-generational company takes pride in its heritage and successful growth from a one-product, entrepreneurial venture into America’s leading specialty tea company. Producing 2 billion tea bags annually, the Bigelow Tea line includes more than 130 varieties of Flavored, Traditional, Green, Organic, Herbal, Decaffeinated and Wellness teas – including its flagship specialty tea flavor, "Constant Comment"®, an all-time American favorite. In 2003, the company purchased and restored the Charleston Tea Plantation, a 127-acre American tea plantation located on Wadmalaw Island, just south of Charleston, South Carolina. It is here where hundreds of thousands of ancestral tea bushes that go into the making of Charleston Tea Planation teas are grown and cultivated without pesticides, herbicides, fungicides or insecticides. The Charleston Tea Plantation has become a "must see" destination for more than 70,000 travelers from around the world who visit annually to learn how tea is grown and harvested, and sample products made from tea grown on the premises. Bigelow Tea products are available nationwide. Tea lovers and enthusiasts can also enjoy sharing entertaining stories and facts by visiting Bigelow Tea (bigelowtea.com), the Bigelow Tea Blog (www.bigelowteablog.com), Facebook www.facebook.com/bigelowtea), Twitter (www.twitter.com/bigelowtea), Pinterest (www.pinterest.com/bigelowtea) and Instagram (www.instagram.com/bigelowtea). Stamford may get most of the headlines these days when it comes to tech firms, but the minds behind health care device manufacturer Convexity Scientific are quite content with their home in Fairfield, thank you very much. The company, which recently unveiled its first device – the pocket-size Flyp nebulizer for treatment of pulmonary conditions, including asthma and COPD — planned on being in the town from its 2014 inception, said CEO James Daniels at its 418 Meadow St. office. The proximity of life science investors in the area, many of whom are now on the company’s board, was also a factor, Daniels continued. “The real estate value of where we are is exceptional, and the talent in this area is excellent as well — this is really the optimal place for us to do what we’re doing,” he said. Daniels — whose resume includes being president and CEO of High Ridge Brands, the $375 million personal care company in Stamford whose portfolio includes Zest, VO5, and Coast soap — was a Westport neighbor of Dr. Ralph Finger, whose background includes serving as an attending physician at such organizations as Northwell Health and Lenox Hill in New York. Over what the CEO said were “a few scotches,” they began discussing starting the new company, with the seeds of what would become Flyp already in Finger’s mind. Along with another neighbor, Paul Reiferson, the trio co-founded Convexity, with Finger as chairman, Reiferson as executive managing director and, in 2017, Daniels as CEO. Flyp — which once had a more mundane moniker until Daniels, with his branding background, suggested the more “consumer-friendly” name — after having received FDA 510K marketing approval, was debuted in March at the Medtrade conference and expo in Las Vegas to general acclaim. Convexity is now rolling it out to consumers at a retail price of $275 — its website lists it at $199 — with plans to expand across the country and, according to Chief Commercial Officer Geoff Matous, eventually overseas. In addition to developing its own medical devices, a number of which are already in the pipeline, Daniels said Convexity’s growth will be realized through licensing products and M&A. And the company appears to have the resources to do just that. In early March it announced that it had closed an equity investment in a round led by Connecticut Innovations, Benslie Ltd. and Stonehenge Growth Capital. Kevin Crowley, managing director of investments at Connecticut Innovations, and Jared Talisman, a member of the growth capital team at Stonehenge, are both Convexity directors. Don't miss the latest developments. Thank you for subscribing to Fairfield CED updates!